Keeping safe on the job is a vital importance to every electrician, therefore it is essential that you have the correct safety tools and equipment in order to prevent any hazards. 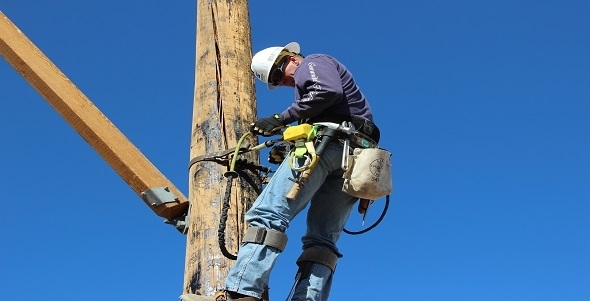 Did you know that there is an average of 6 electrocutions each year in the workplace? Whilst this doesn’t compare to over 350,000 serious injuries coming from mains voltage electric shocks to the public, it shows there is a possibility of it happening. If your job is to ensure electrical safety in peoples homes or commercial buildings, this figure should stand at nil compared to 6, as you are ideally the representation of someone who knows how to keep houses and buildings safe from similar fatalities. When you come to think of it, almost every task and electrician has involves using their hands, and the majority of the time this involves live currents. It’s important to have insulated gloves to prevent electrocutions, and to also have more than one pair available all the time. During commercial work in the winter, it could be smart to have a small pair of cotton gloves underneath to make sure your hands stay warm whilst working. Your eyes are one of the most delicate parts of your body, so it’s vitally important to take care of them. It shouldn’t be the case of not wanting to wear them because of how they look, it should be the case of protecting yourself. Small things such as dust and debris can cause damage to the eyes so they should be worn at all times. If you are really concerned about the way that they look then you can spend a bit of extra money on finding a premium pair with a sleeker appearance. For the same reason as wearing insulated gloves, it’s important to wear dielectric shoes to prevent any electric shocks from live currents. It’s also a great idea to purchase some matting for further insulation, and to help prevent any unexpected live wires catching you out. Safety matting cannot be used in all situations depending on where you are working, but if you can use it, you should. Almost everything from saws to screws can be insulated. It is a wise choice buying tools that are insulated for greater protection from live currents. If you’re looking to buy some insulated tools, it’s recommended to purchase a whole set for better value. Alternatively if you already have some standard, uninsulated tools it might be time to consider an upgrade. This specifically applies to those commercial electricians who are often working on building sites. Excessive noise in the building site every single day can eventually start to damage your hearing, which is something you do not want. Hard hats will help reduce any head injuries from sources such as unexpected debris or tripping over. Health and Safety Regulations aren’t always so serious, take a look at these silly health and safety stories!